Collecting something from stamps to coins to everything are just some of the oldest hobby that we have. For others it is a way to support their favorite teams and players, while others do collect for the sentimental value that they bring to them and others do it for business. Basketball junkies collects everything from jerseys, shoes, basketball etc. However for me was the best thing to collect for basketball fans was NBA cards. The good thing about NBA cards is that you enjoy the pleasure of collecting them at the same time this cards has a book value which you can sell or trade to others according to the book value that they have and when you not that interested in collecting you an always sells them and bring back the money that you spent for it. Book Value of a certain card varies from 5 dollars to 700 dollars or higher depending on the rareness. 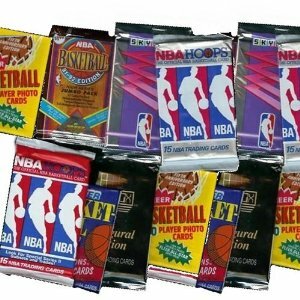 There are different types of NBA cards to spice up collecting. We have the commons or base cards these are cards that a single pack mostly contain from the word itself this are commonly place to every pack that you bought it's just a card with a picture and stats at the back and nothing especial about it. BV or the book value of this kind of cards just vary from 1 dollar to 15 depending on the player and how rare your card was. Next we have the insert cards. These are the cards that you wish to have if you are a collector since these types of cards does not always come within a pack. A pack usually contains 5-10 cards and the chance of getting a insert card is 1:10 or 2:10 and most of them are bunch of commons. The rareness of this card is higher that the commons since these cards are usually a set that was distributed to packs with the base cards and are numbered 1 of 10 meaning the first card of the the whole set of ten. The BV of these types of cards are much higher, since the designs are unique for each inserts can range from 25 dollars to 700 dollars again depending on how rare it is and to which player do you have. There are insert cards that considered to be especial due to some of its features of uniqueness. One of which was the acetate cards these poses the effect of transparency and lesser risk of having a ding on a corner of the card. Die cuts are the next, these cards are just like the ordinary card with the feature of having a cut through the card either in a triangle, diagonal, circular shape depends on the design of the cards. The die cut cards are my personal favorite since they are rare at the same time this cards are awesome looking cards especially if you put them together in a 4 pocket or 9 pocket sleves. We have also numbered cards. Cards of these kind are so rare that a card company will just release a card in an specific number pattern. For example a Michael Jordan's Flair take it to the net card, the company just published 1000 copies of it each are numbered 1/1000 etc. Much rarer than this card was the 1 of 1 card, this card is the most sought after card since there are only one of this in the whole planet. The BV of these kinds of card are so high since they are so rare but again it depends on the player that you collect. Autographed cards are next in line. 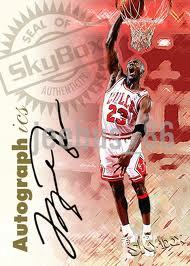 These cards are also my personal favorite since these cards have the actual signature of the player that you collect. It comes in handy since you don't have to chase your player of choice just to have his autograph. However, some issues may arise like are this stuff legit? that is why as a collector we always advice are co collector not to but an autographed card without a authorization from a card company. It's a nice addition to your collection if it is authentic autograph card. Last will be the jersey cards. These cards are hot it started from the late 90's till present, what is unique about this card is that a piece of a players used jersey in an actual game was actually incorporated In a card. It can be patches with different kinds of variation or just plain jersey. BV for this type of card can range from a dollar to couple of dollars depending on the player you chooses. So far I enjoy collecting old school inserts from the 90's to be more specific high end rare insert cards of Michael Jordan which was so far has the highest book value compared to cards of other players. Just a tip for those who start to collect cards. 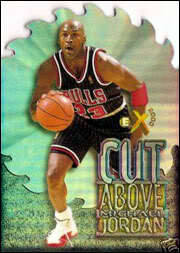 Start collecting cards from a well known player that had proven himself in the game of basketball. This will help you to put value on your collection because players that won championship or achieved something will have the higher BV of their cards compared to those who spend most of their time at the bench.